It’s about spending more time with the right people for greater results. Consumers were naturally attracted to the “muddle your own” mojito bar experience, the attractive staff in brand character holding paddles that read “LOVE FREE DRINKS? Ask me”. 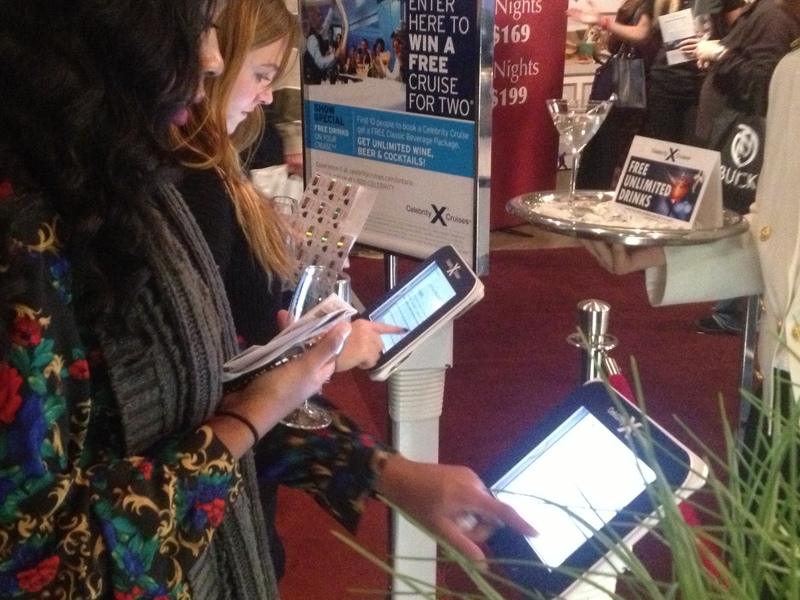 The signage and staff inspired people to ENTER for a chance to WIN a Celebrity Cruise for two (via iPad). Throughout this data-capture process, we gained an understanding of their personal destinations of interest and identified qualified leads based on their responses to a series of branched questions. After learning about the brand’s most important attributes, participants had the chance to speak directly to a sales rep and take advantage of a “FREE DRINK” offer by booking a luxury cruise for two. A total of forty-three bookings took place at the event which was our client’s most successful direct sales results from a promotion. Thousands of guests, media and bloggers made the Celebrity Cruises “muddle your own” Mojitos bar experience the most popular destination of the Gourmet Food & Wine show. Guest enjoyed muddling, shaking and stirring their own personal award-winning mojitos. The cocktail recipe by master mixologist Junior Merino consisted of rum, fresh pineapples, basil, and jalapenos.